Enjoy your cute baby photos with beautiful kids frames every single day! 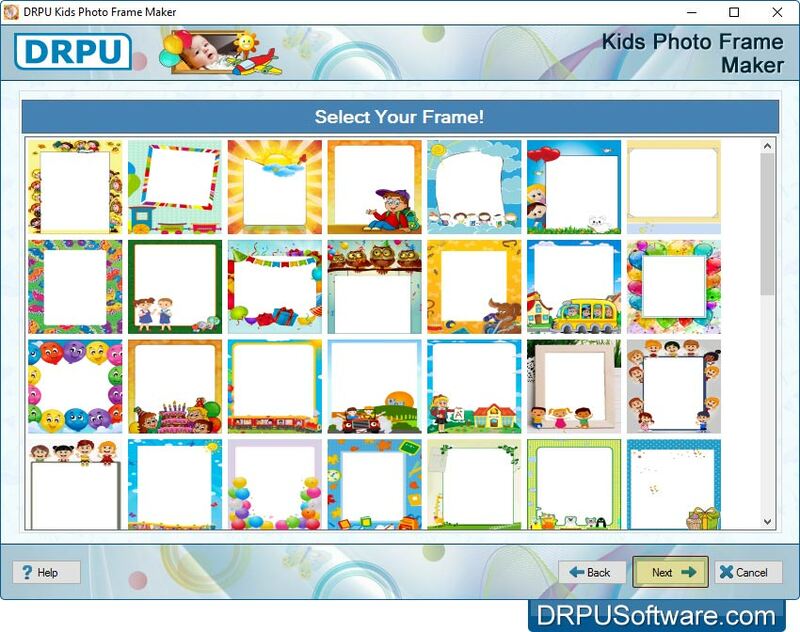 DRPU Kids Photo Frame Maker offers numerous kids photo frames absolutely for free! 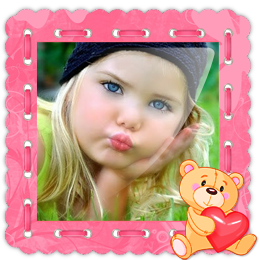 Kids Photo Frame Maker app which contains beautiful photo frames that best suit your child's photo. So now touch up your kid's photos with specially designed frames by adding pre-defined titles and messages. You can send decorated photo with frame to the specified email address using email settings. Download 'All in One Photo Frame Maker' Freeware App to Add Any Other Type of Photo Frame on Your Photos. 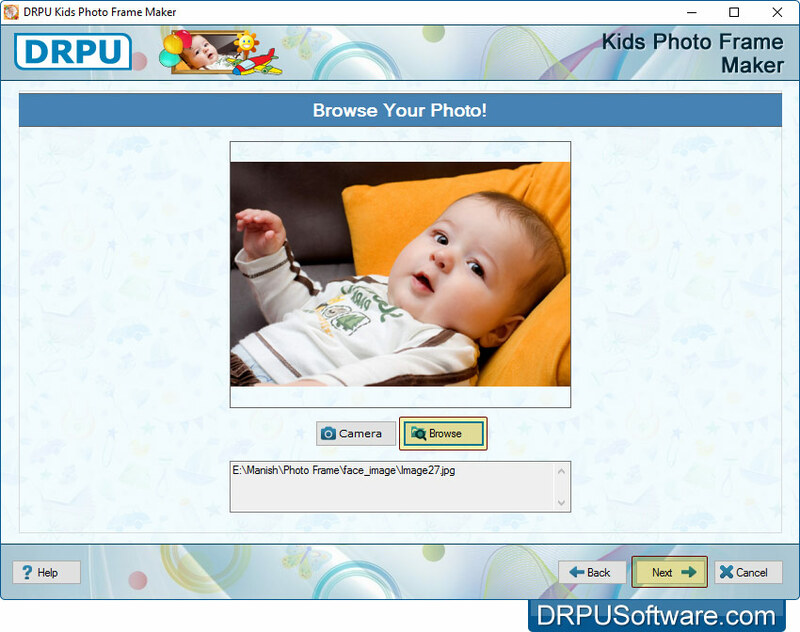 Provides option to save kids photo frames in various file formats including JPEG, PNG, TIFF, Bitmap, GIF and PDF. Send decorated kids photos with designed frames at particular email address using advanced inbuilt E-mail Settings. Inbuilt Camera settings to capture kid's photo or you can browse the path of that image to which you want to apply your frame. Print designed photo with frame using advanced inbuilt Print Settings. 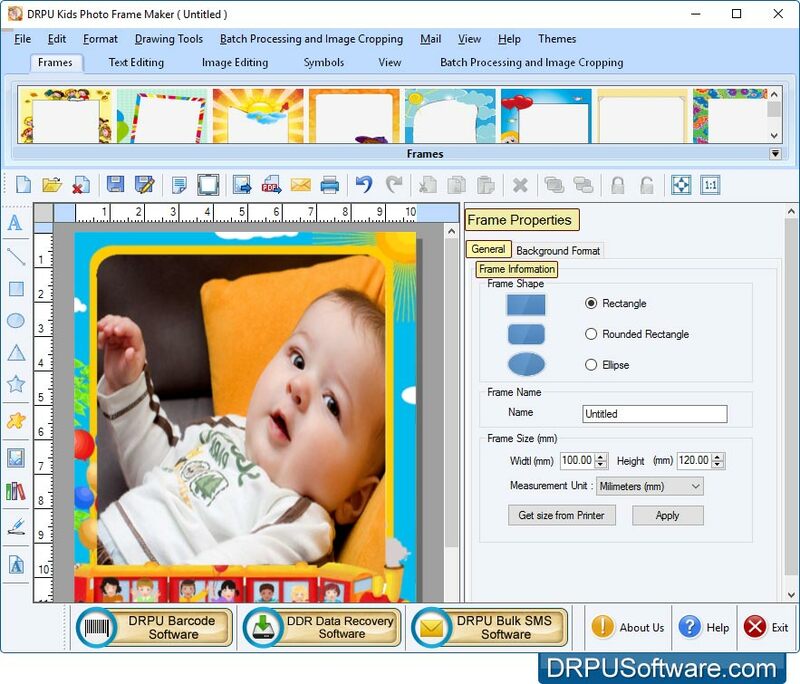 Create multiple copies of Kids photo frames with different photos and text at the same time using Batch Processing Series option. 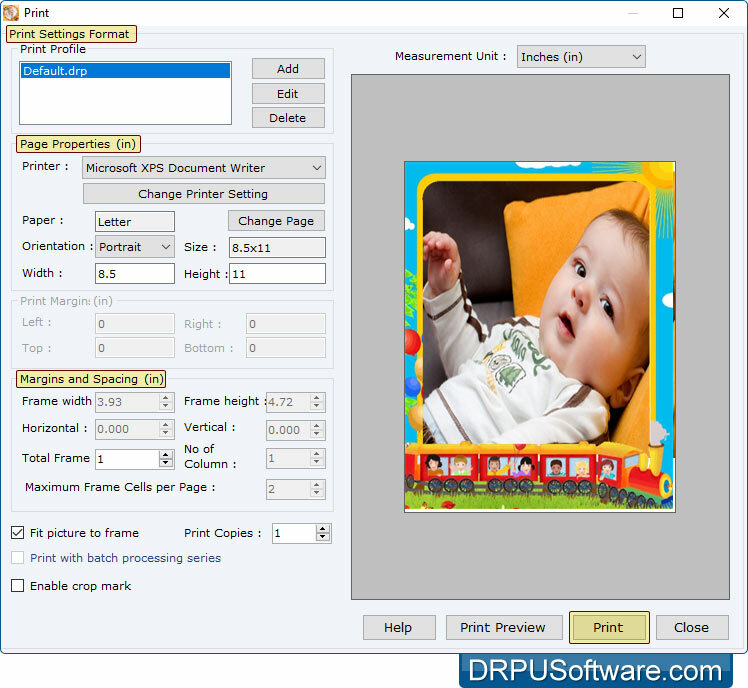 Image Cropping Tool to crop multiple images as per your requirements while applying frame on your photo. Select either 'Start by using Wizard' or 'Open with existing Frame Log' option. Choose any one frame according to your requirement and click on 'Next' button. Browse your photo which you want to insert into selected frame. You can also browse the path of that image. You can also adjust frame properties like frame name, frame size etc. 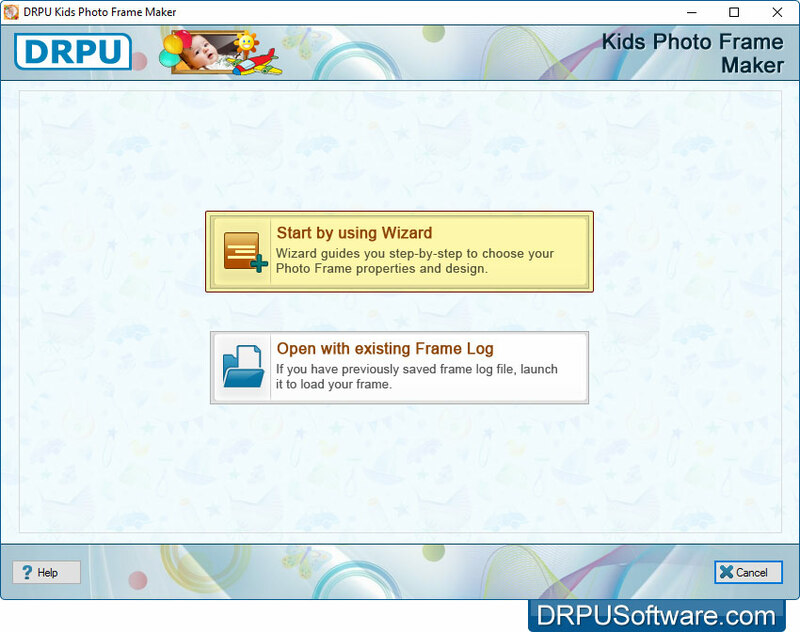 To print kid's photo with frame, set all print settings and click on 'Print' button.